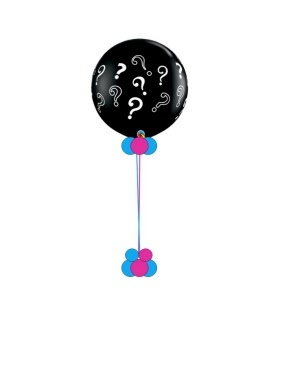 Celebrat the revealing of your baby's gender in a BIG way with this fantastic 3' JUMBO Balloon! We supply a popping wand to pop the balloon, and approximately 80 x 5" balloons will fly into the air announcing to all your friends and family whether you'r having a girl or boy! !